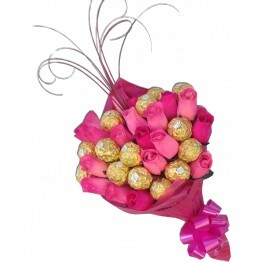 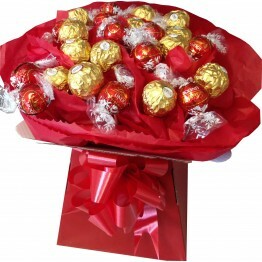 This is a minature version of our popular regular sized Ferrero Rocher & Lindor Rose Bouquet. 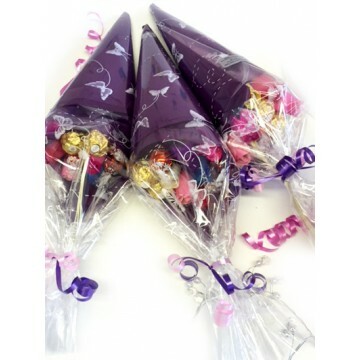 This mini version holds 5 chocolates and 6 wooden everlasting roses, wrapped in beautiful decorative cellophane & ribbons. 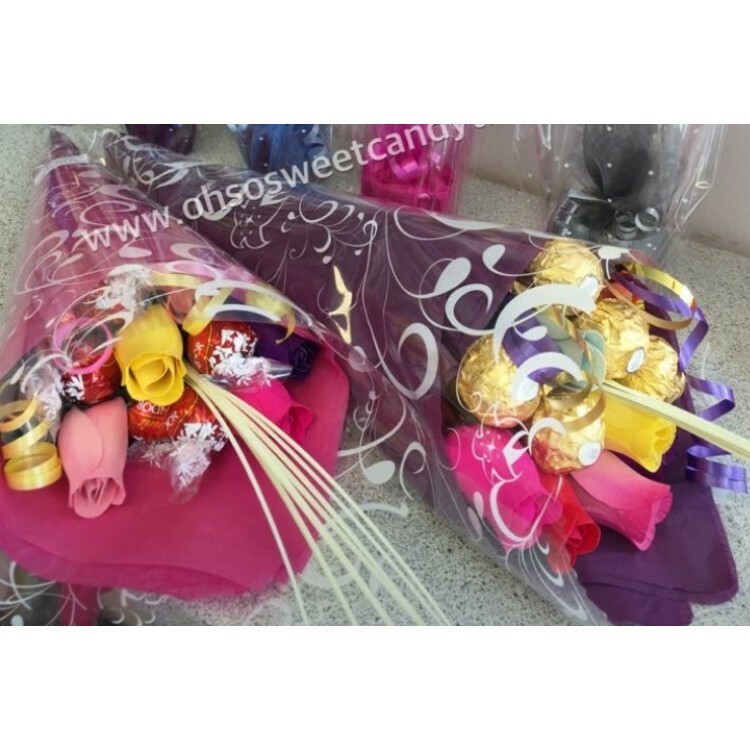 Colours may vary. We create the mini bouquets in red, pink, and purple designs also a multi-coloured version, If purchasing more than one bouquet we will make sure you recieve various colour designs within your order. 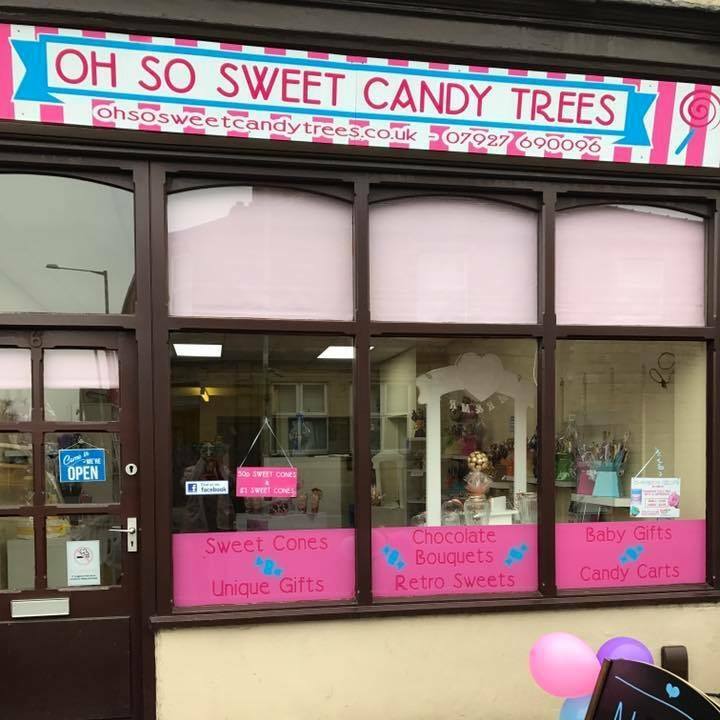 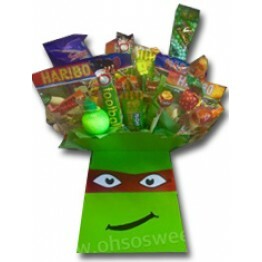 This is a unique item created exclusively by the Oh So Sweet Candy Trees team.